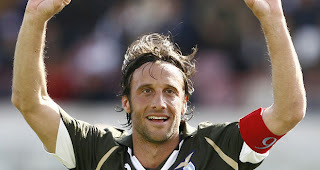 The captain of Serie A side, Lazio, Stefano Mauri, has been arrested by police investigating claims of match-fixing. Mauri 32, was held along with former Genoa midfielder Omar Milanetto, police said. Mauri, who joined the Rome club from Udinese in 2006 and has 11 caps for Italy, made 16 league appearances last season as Lazio finished fourth in Serie A.
Juventus coach Antonio Conte, who just led the club to the Serie A title in is first season in charge, is among those being questioned by police. Police said Conte was being investigated on suspicion of sporting fraud and fraudulent association over allegations concerning a match between his previous club Siena and Novara in April 2011. Officers also visited Italy's pre-Euro 2012 training camp to question left-back Domenico Criscito, 25. Later on Monday Italian football federation vice president Demetrio Albertini announced that Cristico, a former Genoa and Juventus defender who is now at Zenit St Petersburg in Russia, would not be selected for Euro 2012 'in order to clear his name'. Police are searching more than 30 homes, including those of players, trainers and administrators of clubs in Serie A, Serie B and lower divisions. Monday's operation was part of a wider investigation which has already seen a number of arrests of current and former Italian players. In June last year, the Interior Ministry set up a special match-fixing task force in response to a number of high-profile cases. 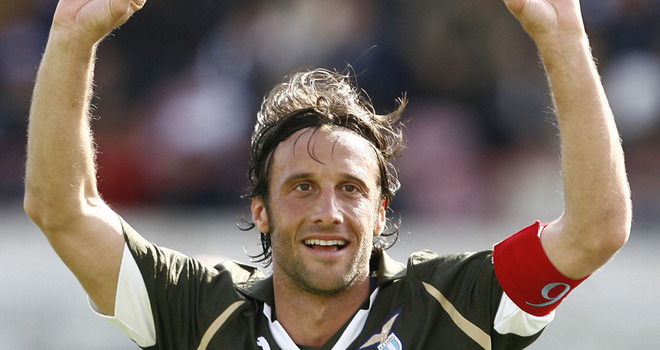 Former Atalanta captain and Italy midfielder Cristiano Doni was banned for three and a half years in August last year for his part in the 'Calcioscommesse' scandal involving Serie B matches last season.